Oh now that's a novel way to raise money: a West London council is to charge fitness trainers for using its parks. Well they won't live this down: police call doctor to confirm headless body is dead. The Thames Sailing Club is to fight plans for a house boat development. On how two Lewisham horses are proudly preparing for the big day. Blah blah royal wedding bodyguards blah blah. What will we do for news next week? 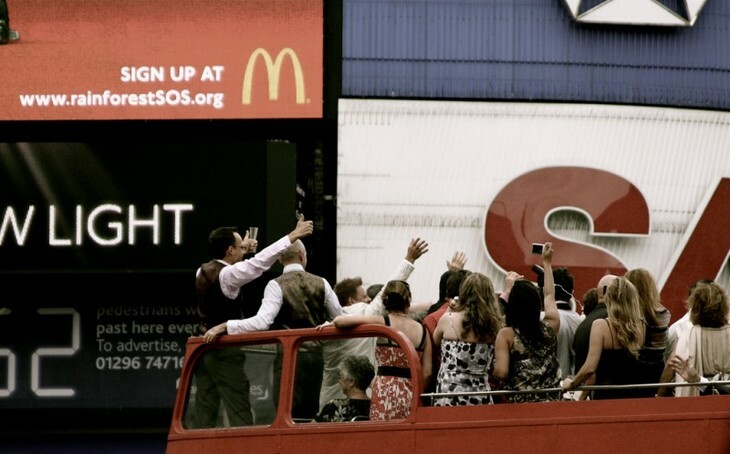 Wedding, by Pierre Mallien via the Londonist pool.